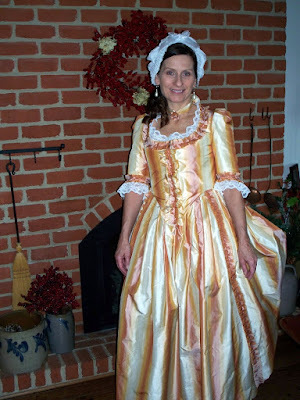 The dress is made of striped silk taffeta from the J.P. Ryan Polonaise pattern. The cap is made from the J.P. Ryan Dormeuse Cap pattern from white cotton organdy. 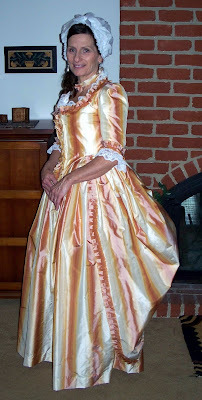 The trim is box pleated silk taffeta with white lace around the neckline and at the elbows. 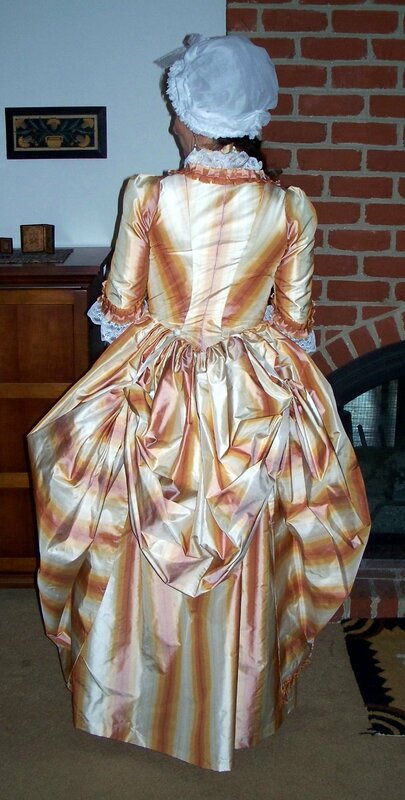 This dress is absolutely gorgeous, I didn't realize that it was striped until I scrolled down.